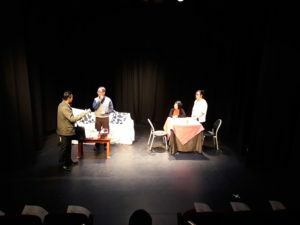 The CCCIS drama team proudly presented the drama, Say Goodbye to Hush Hush, on July 21 at Doncaster Playhouse. Say Goodbye to Hush Hush is a comical educational skit. 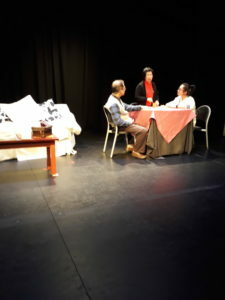 It follows the Chinese Cancer and Chronic Illness Society of Victoria's first drama, "The Glamorous Funeral" in a series designed to encourage people to think about death and dying from a different perspective. 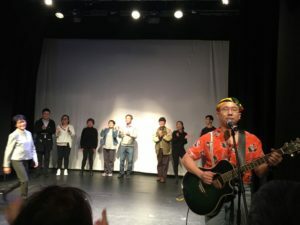 While we did not have a full house attendance, the skit was well received by the audience. 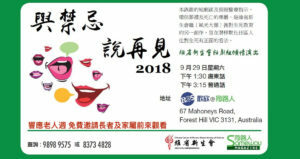 The team will perform again, free of charge, on 29/9 to celebrate Victoria Senior Citizens Week at Sameway Theatre at Mahoneys Road, Forest Hill. Please contact our office, Tel 9898 9575 or email us, enquiry@cccis.org.au if you would like to obtain a ticket.